Liberty nitrile textured industrial grade powder free glove. Nitrile gloves are manufactured using synthetic polymers and are more puncture resistant than natural rubber. Offering superior resistance to punctures and abrasions, they are a perfect choice for protection from a variety of chemicals. Easily donned, this product is the perfect choice for your disposable needs when latex allergens are a concern. 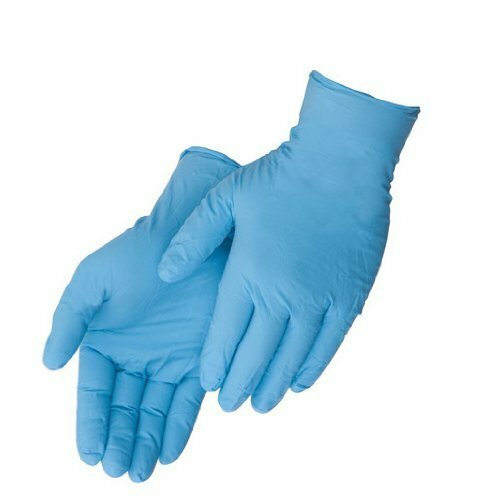 Industrial grade nitrile gloves are made from component materials which meet requirements for food contact and handling. Our medical grade nitrile gloves comply with FDA regulations. It is standard industrial grade. This is powder free glove. Textured finger tips. Available in large size. It is ambidextrous. 4 mil thickness. Blue color.